KumbhalGarh!!! The name itself evokes images of grandeur and grace! And it was all that and much more. Nisha & I geared up for the day and headed towards Kumbhalgarh fort which is about an hour’s drive from Udaipur (about 82 kms). 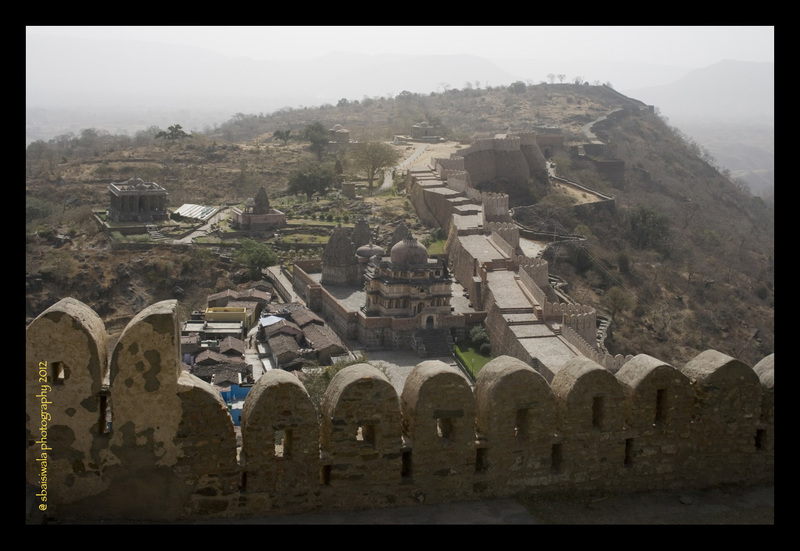 Our driver sahab stopped just before the fort to allow us to view the fort in its entirety from the Viewpoint. The jungle around was teeming with bird calls – they almost seemed to be playing hide and seek with each other. And the view of the fort from this point was THE point of it all. It was gorgeous – strong and majestic!! The ticket counter didn’t open until 9.00 a.m. and we had to wait a bit. And here we thought we are late as the sun was climbing up and we had a lot of climb to achieve on our own too, to get to the top of the fort. Seems, Udaipur is not an early morning city at all. Entering the fort, we could see some refreshment shops on either sides and sprawling temple-like structures all around. In fact, there are over 360 temples in this fort – 300 Jain temples and rest Hindu!! 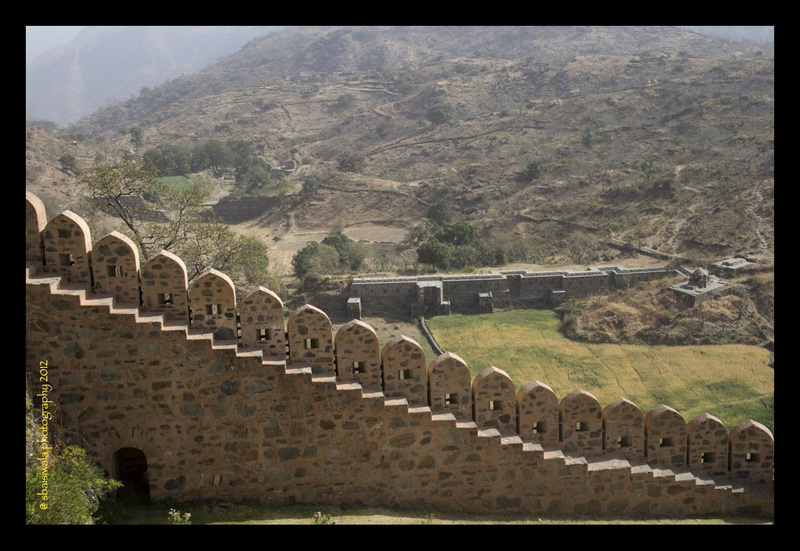 The perimeter wall of the fort is over 15 feet thick and extends to encompass 36 kilometers – its claimed to be the second largest continuous wall after the Great Wall of China! 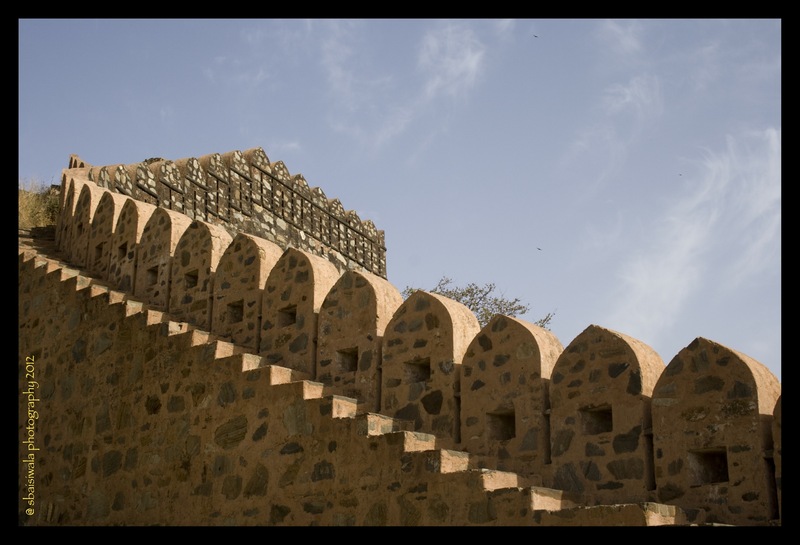 I just couldnt get over the way the fort walls were made; the structure unlike I had ever seen at any fort in India. History goes that Rana Kumbha designed this fort which fell only once and that also due to water shortage. Its said to be the birthplace of Maharana Pratap and the second most important fort in Mewar after Chittorgarh. We started our trek up the long winding path though not steep and were the only two people there that early in the morning. 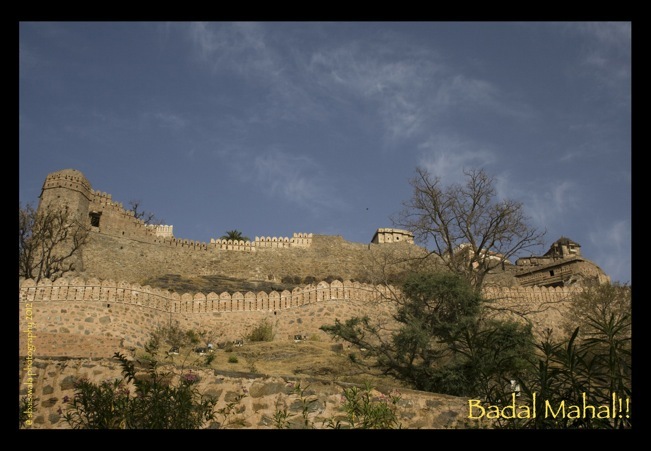 Our destination was the “Badal Mahal” on top of the fort which did seem to reach out and touch the wisps of clouds floating about in an incredible azure sky. It’s reputed to have some very gorgeous rooms with a view to die for of the entire valley. Our walk up was a solitary one; both of us seemed to be the only ones around. The quiet of the place and the bird songs was one of the most tranquil moments of this trip. Meandering on the path up, we kept taking pictures of the various arches, structures, the high walls and the gardens dotted all around. And it was all so neat and well-kept with benches at regular intervals, that we were all praise for the fort administration. Just wish they were particular about toilets and dustbins too. We tried to follow some signs for washroom and could only see more structures but none seemed to house the most important utility. No dustbins either. 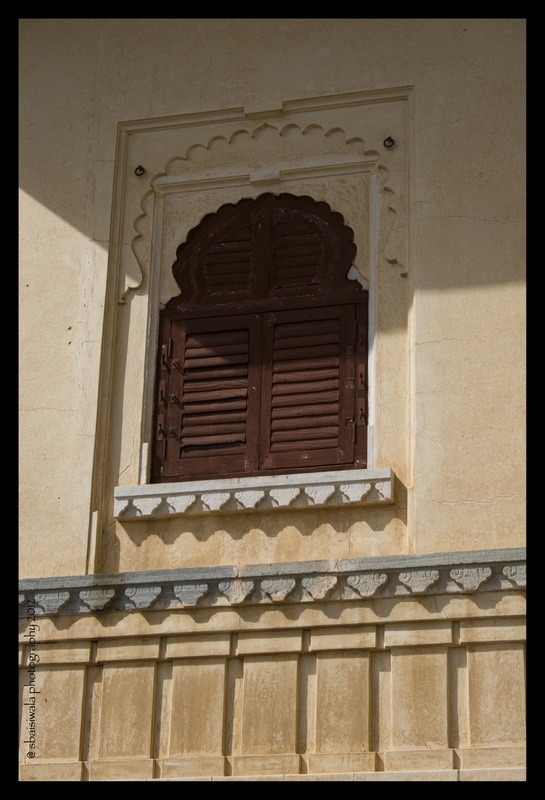 As we came up to the fort, we could see locks on all the doors and the window shutters were also tightly shut. Groaning in disappointment, we searched around till we came upon an open doorway. Walked into a shaded courtyard which was eerily quiet and desolate in appearance. Nisha backed off and chose the sunshine outside while I decided to explore a bit inside. But the smoke wafting from a freshly lit agarbatti at the small temple and the silence of the place spooked me out too. We walked around the palace walls and took in the view of the fort from there. It was an incredibly quiet and peaceful space with some amazing architecture to please the eyes. Our trek downwards began and we started seeing more people trudging up. So this was a popular place, just not very early in the morning. But seeing how hot the sun was by now, we were once again thankful for our efforts to start the day early. We bought some refreshments from one of the shops ( prices are steep since it’s a long way from civilization) there. Any more exploration of the fort was shot down in favour of the cool environs of the car. We were both feeling tired after the walk in the heat and wanted to rest a bit before our next destination – Ranakpur! But that’s a blog for another day! Looking back from the car, once again marvelled at the gorgeous structure which despite being so massive was elegant and graceful in its entirety! 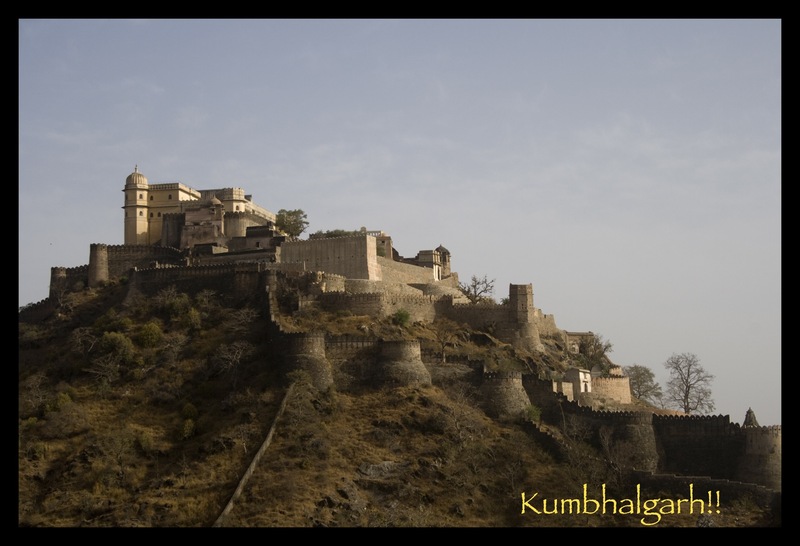 Kumbhalgarh is about 82 Kms from Udaipur and I would recommend hiring a car for the day to make a journey here. There is a wildlife sanctuary around the fort where one can take a guided jeep safari. 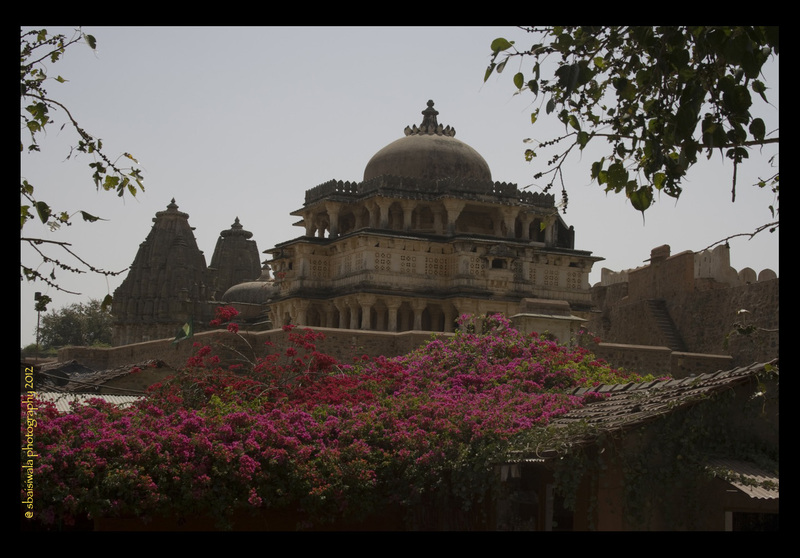 Lots of resorts have opened up in Kumbhalgarh itself and its become a very happy tourist destination too. Wow Shailz .. as always .. from your blog its like us visiting the place and even getting spooked thinking about the freshly lit aggarbatti and the quietness .. awesome is the word .. and cant wait for your next blog on Ranakpur . keep them coming .. Gob Bless !!!! Thank you so much Sailesh – love you muaah!!! Next one should be up by tonight in all probabilities!!! And then ofcourse a roller coaster ride is on for the nextest week…………..
thank you so much. hope you do visit again. Did you manage to catch the lights and sound show in the evening? I remember the majestic Kumbalgarh fort and how amazing the views were from up there. You brought back such lovely memories! Falling in love over and over again with your posts and pictures!! Amazing photography!! It looks beautiful shalz. Also, the structure seems to be quite intact without much damage! Its a solid structure and the heritage is being preserved; infact in Rajasthan you will see some of the best kept architecture of such buildings – in my opinion!!! This is such a well detailed post Shalini. Will bookmark this and other post in the series for I plan to visit Rajasthan soon. Previous Post Colors of devotion at the Gangaur festival in Udaipur!! Next Post Travel diaries- Srinagar to Leh! Pull upstairs! !